(How) Can a Murderer Be A Martyr? Sometimes an Eye of Prophecy article will begin with a quote; or a question or the title itself (like this article) will be a question leading into the main theme of the post. Most of the time the question will be answered gradually, postponed in full detail until later in the article with anticipation to hopefully build interest. Occasionally the query will be rhetorical. In which case the question will be answered almost immediately, mostly because the subject matter is somber or controversial enough to be explained and expanded on forthwith. So, let’s get right to it: Can a Murderer Be a Martyr? Obviously, it’s as much of a rhetorical question as can be. The answer is as obvious as it should be. Emphatic Expanded Answer: No Way. No more than a martyr can be a (past) murderer, unless that person has expressed deep remorse for his actions and changed directions in her life. Let’s begin by defining the terms from Webster’s Dictionary. “Thou shall not kill,” is probably the most well-known of the Ten Commandments. In the clear context of this command in God’s Word and society’s understanding of it, the precise concept is that of murder, not killing in general. In fact, the New Living Translation of the Bible, that I use most often, accurately translates the Hebrew word and meaning: “You must not murder” (Exodus 20:13, italics for emphasis). Nearly all laws of every land fully recognize the right of self-defense or “justifiable homicide.” As well as the lesser offense of manslaughter, which is not deemed to be malicious and premeditated; nevertheless, an offense that should not have occurred in the first place. Likewise, most people readily distinguish between cold-blooded murder and the need to take human life during wartime, especially if the conflict is waged as a “just war.” Moreover, preemptive (justified) strikes that invariably involve necessary killing can be initiated by a nation; such as the campaigns God ordered the Israelites to wage against Canaanite nations who were completely corrupt, irreversibly immoral, and unashamedly ungodly in their conduct … including killing of their own children through human sacrifice. Which, as we will see shortly, is tragically what the Palestinians are doing with their children. Frankly, it’s even worse: these children are first murdering Israelis. 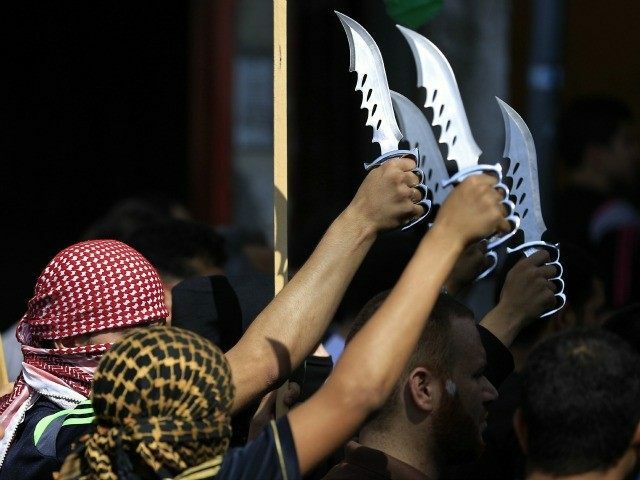 This diabolically distorted and demented diatribe currently known as the “knife intifada” (although the attacks are also made with guns, cars, and rocks) inevitably results in the Palestinian Authority pathetically classifying the murderers as martyrs, which is another way Islam glorifies death. Immediately we see the (obvious) paradox: The person who is a true martyr (noun form) cannot also be one who martyrs (action verb form) someone else. One who unlawfully and immorally takes the life of someone else (especially for the race or religion of the victim) cannot be called a martyr, when they, in turn, are killed for their crime(s). This would also apply to intent … whether the killer succeeds or not. Thus, it is incomprehensible that an unrepentant murderer could ever be a martyr for any cause whatsoever … because the concept of martyrdom cannot exist in a vacuum. Meaning that in order for one to be a martyr or be martyred, there must first exist a condition that is inherent in the concept and understood within any rationale, reasonable, logical, and most of all moral framework. Which is that the person killed for their belief must first be innocent of murder, not only by actual commission of the crime, but also by intent. By simple definition and common sense morality, a martyr must be innocent of shedding human blood of otherwise innocent victims. Unless, that is, you are a Palestinian. Or, in the broader scope of this wicked world in which we live, you are a militant Muslim who indiscriminately murders innocent people (mostly Jews and Christians). This includes less aggressive adherents to Islam, who nevertheless condone and even celebrate the death of innocent Jews and Christians and sometimes other Muslims. The death count is now thirty Israelis, most of whom were stabbed by Palestinian children, some as young as twelve or thirteen, both boys and girls. Moreover, these atrocious attacks are now taking place in what normally are considered society’s sanctuaries, i.e. neighborhood grocery stores, in their cars, in synagogues, at community bus stops, at the Jaffa Gate of Jerusalem, and even in their homes. No place is safe anymore. Previously in the article, Ms. Amrousi wrote: “But now, as we recently witnessed, a vow to avoid leaving the settlement is not enough anymore. 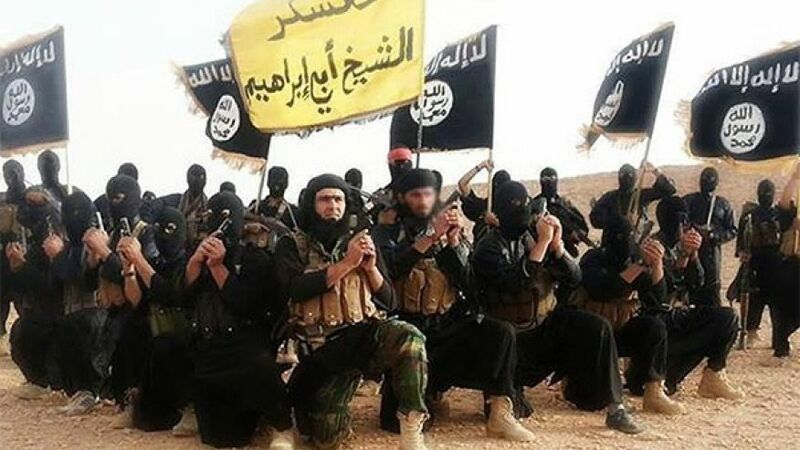 Islamist terrorists armed with Nazi ideology have been invading our homes, backyards and even the local grocery store—they are right at our doorstep. “In a small community, people go to their neighborhood grocery store in their slippers and pajamas. It is a place where they can catch up on what their neighbors have been up to between the milk cartons and the ketchup bottle…. On Monday afternoon, that safe, inviting place turned into a bloodbath. Just like the home of Dafna Meir who was murdered in her home in Othniel last week, or the clothing store where Michal (woman) was stabbed in Tekoa, and countless other examples of terrorists trying to infiltrate Jewish communities in recent weeks. Everywhere you look, boundaries are being breached. Yes, what is happening to Jewish men, woman, and children in Israel is, indeed, frightening. “This is a misnomer, of course, because the surge in Palestinian violence that began in September has been characterized by many other forms of aggression against innocent Jews. Car rammings … rock throwing and Molotov cocktail hurling, too, are popular methods of attack. And let’s not forget the shootings. Whether committed by drivers, snipers or point-blank gunslingers, these acts of terrorism are also part and parcel of the war against Israel being waged by young Arabs living under Palestinian Authority rule, some of whom are even Israeli citizens. I’m going to get even blunter that Ruthie Blum by saying that Dan Shapiro as a representative of our executive staff is deliberately ignoring and blatantly falsifying the real reasons for these attacks, which has nearly nothing to do with alleged Israeli settlements or (false) reported desecration of Temple Mount by Israelis. Rather, it has everything to do with the hate instilled by parents into their children for Jews, and the need to eliminate all Jews from Israel by killing as many as possible so the rest will leave out of fear. It has everything to do with the daily denigration of Jews on Palestinian television, in their school curriculum, and through incessant public incitement by Palestinian religious and political leaders to (as an example) keep the Jews “filthy feet” from walking on holy sites in Israel. This quote to incite especially Jewish children was from none other than Palestinian Authority President, Mahmoud Abbas. 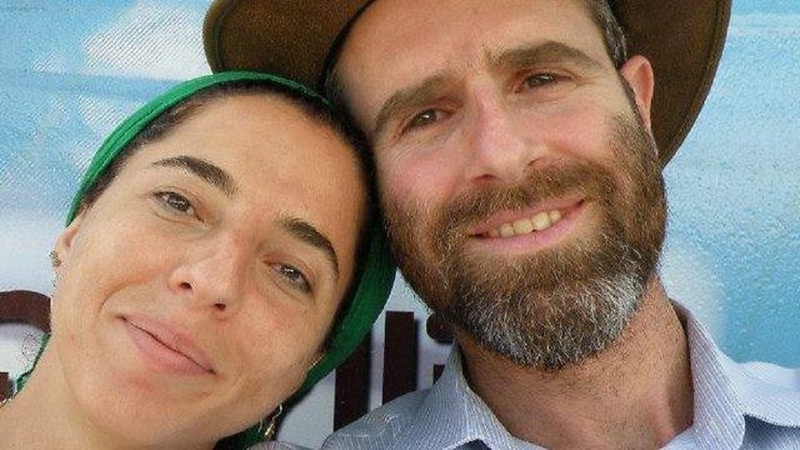 Her 22-year old son, Muhammad Shamasneh was shot and killed by Israeli police shortly after he stabbed three Jews near a Jerusalem bus station on October 12, 2015. His was one of the first of what has become hundreds of unprovoked and deadly attacks against innocent Israelis. Additionally, the website of Palestinian Media Watch is replete with testimonials of parents whose terrorist’s sons and daughters have killed Jews. Nearly all of these assassins are under the age of thirty, and many of them are 18 years of age or younger. It’s common knowledge, with no denial from PA President Abbas, that the Palestinian Authority makes monthly compensation to Palestinian families whose child was “martyred” after killing Israelis. Also, stipends to parents or spouses whose family member was not killed, but apprehended, tried, convicted, and put into prison. Frequently, photos of Palestinian terrorists who were killed during or shortly after (resisting arrest) their murderous rampage are posted on billboards throughout the West Bank and Gaza Strip. Even streets are named after them. Although the vast majority of Muslim parents support and praise their children for their “heroism,” and glorify their ugly acts of murder, not all parents do. But that can be dangerous for the parent. For example, a few weeks ago the Muslim mother of a young ISIS recruit pleaded with her son not to stay with ISIS. For this love and concern for her son, she was killed. And, yes, it was her son who killed her … on the orders of an officer; but reportedly the son was honored to have killed his mother who had apparently betrayed Islam. Thanks to the true and living God, that all mothers are not so unique! Seriously. It never ceases to amaze me that our US President and his staff refuse to see through the ultimate agenda of the Palestinian Authority in particular and the majority of Palestinians in general. But they don’t. Because of today’s politically correct misspeak, they can’t. Consequently, the US continues to send hundreds of millions of dollars to the corrupt Palestinian Authority. Did you know that The Palestinian Health Ministry actually keeps a register of “martyrs” who kill Jews? That’s right, the Health Ministry! 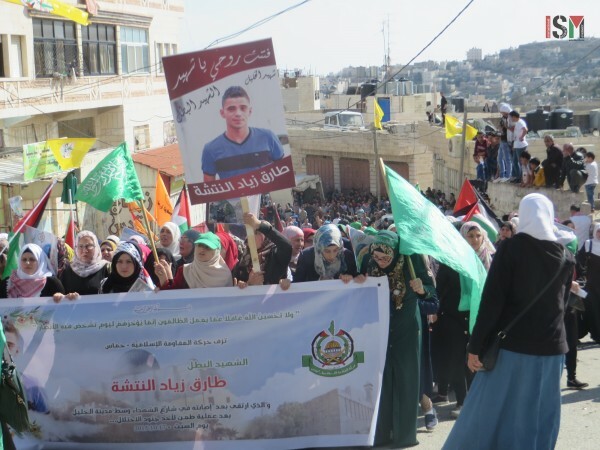 The names of these martyrs are kept alongside of the recording of patients, diseases, injured or wounded during clashes with Israelis, but only for murders of Jews or events occurring within the territories of the West Bank and Gaza Strip. The praise of those who murder Jews, those who then become “martyrs” is repulsively rampant. It is much too flagrant for the United States Executive Staff to overlook it as though it doesn’t matter, and certainly not to deny it, after the fashion of an ostrich sticking its head in the sand. But, for all practical purposes, they do. Instead, our government constantly berates Israel for their alleged settlements and for not doing more to reach an agreement for a Palestinian State alongside Israel. When it’s actually a Palestinian State instead of the State of Israel that Arab Muslims want. Although they may not realize it or even care about the repercussions, our government’s current disposition and attitude toward Israel is beginning to shape up as one of, if not the most, devastating mistakes this country has ever made or will make. I say this, exclusively on the authority of Scripture, i.e. the blessings and curses for nations that bless or curse Israel, respectively (Genesis 12:3 & other passages). Although these murderous Palestinian assaults on Israelis are perpetrated by individuals (as opposed to known terrorist groups such as Hezbollah and Hamas), in my opinion they can no longer be classified as “lone-wolf” attacks. If for no other reason than there have been over 300 such incidents just in the past four months or so, resulting in the death of 30 Jews and wounding of dozens more. In other words, the sheer number of the attackers can now be classified as a concerted group of individuals in a cruel combined effort to instill terror among Jewish communities, no different than a terrorist group or grouping of terrorists with a collaborative mindset and a callous communal cause of killing Jews. Thus, when our own President and most of his staff ignore the true history of Israel, and the acrimonious (no longer hidden) agenda of the Arab Muslims living in Israel, they also apathetically disregard the insidious (but no longer subtle) and all too real objective of Arab Palestinians and Muslims the world over: To eliminate Israel as a State and the Jews as a race. All the while, taking out as many Christians as they can. When I refer to global (blind and irrational) animosity toward the Jews, I mean just that; as exhibited by the repeated United Nations sanctions against Israel—vastly outnumbering the sanctions against such rogue nations as Iran, North Korea, and many other countries that oppress their people, not the least of which is Syria. Is it human nature, meaning the typical or average response, to react to occupation by killing innocent people whether or not they are truly occupying (the Jews are not the occupiers as I’ve written about in prior Eye of Prophecy articles)? That rhetorical question plus at least two more things are terribly wrong with the Secretary General’s thinking and statement. First, this part of his speech to the UN Security Council directly referenced the recent killings (murders) of Jews in Israel. 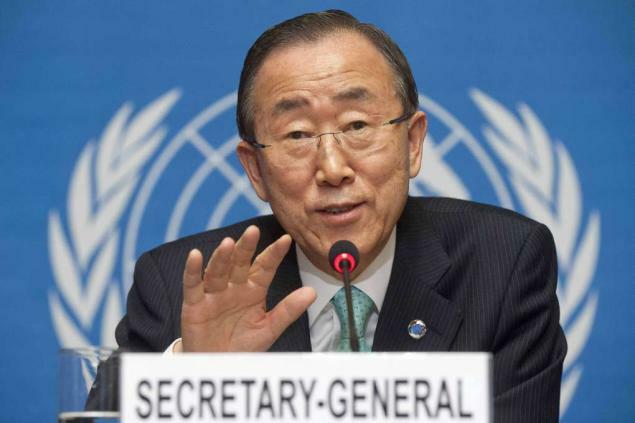 Which demonstrates beyond any doubt that Ban Ki-moon believes that even murder can be understood, rationalized, and possibly accepted if the murderer is doing so in reaction to “occupation.” It is a transparent insinuation that Palestinian murder of Jews in Israel is justifiable homicide. Second, it’s unmistakable that the majority of the terrorists’ murderers couldn’t care less about so-called Israeli occupation. What is clear from interviewing those who were captured and by monitoring the daily Palestinian media is that these children (and young adults) are motivated by the incitement spread through media propaganda and by constant rhetoric from their leaders that elimination of Jews is the only solution. Not two states, that the Palestinians have rejected repeatedly, i.e. the terms of. Or a solution to the so-called occupation of the West Bank, in which the Palestinian Authority has turned down two incredible offers from prior Israeli Prime Ministers, Ehud Barak and Ehud Olmert to retain only about 5% of the so-called West Bank for existing and future Jewish settlements. Not as a legal requirement, but as an accommodation to the Palestinian Authority following the 1993 Oslo Accords, Israel withdrew from most Arab cities in the biblical heartland of Judea and Samaria (now called the West Bank). And, of course, the glaring fact that Israel removed all of its citizens from the Gaza Strip in 2005. Despite the massive attacks against Israel by Arab armies in 1948, 1967, and 1973; suicide bombers during the Second Intifada that began in 2000; 21st century missiles and mortars raining down on southern Israel from the Gaza Strip; and military battles with Hezbollah and Hamas; it is painfully evident that Israel has never faced a “knife intifada” in their national history. Americans are appalled and distressed by the occasional mass murders that take place in our schools and other public places, and rightfully so. But for the most part we process these hideous homicides in the context of the vast size and large population of our country. We emotionally and mentally and morally empathize with the victims and their families. But unless we live in or close to the vicinity of these brutal crimes, we generally think in terms of being safe just because of the distance, for example, between living in Arizona or New Jersey. Not so in Israel. Using both New Jersey and Arizona (my home state) as an example, let’s digest the following statistics to see just how terrifyingly up close and perilously personal these attacks are in Israel. Israel’s land mass is 8,630 square miles. That is very close to the size of New Jersey, at 8,729 square miles. However, the state of Arizona, alone, is 113,998 square miles. Which means you could fit thirteen states the size of Israel in Arizona, with 1,700 acres to spare! Even if the equivalent number of attacks and murders committed in Israel were confined to a certain geographical section of Arizona (say 1 county), 93% of the State’s area/population would still feel/be safe. And that’s just one state in our country a long way from New Jersey. If, however, the residents of New Jersey were experiencing what Israel is going through, then we (they) would have a totally different perspective on the problem. But even a comparison to New Jersey doesn’t fully represent or depict what the Jews are experiencing in their own nation. Israel’s minuscule land mass shrinks even more when you eliminate the areas where Jews are not permitted to or (even if permitted) choose not to live. 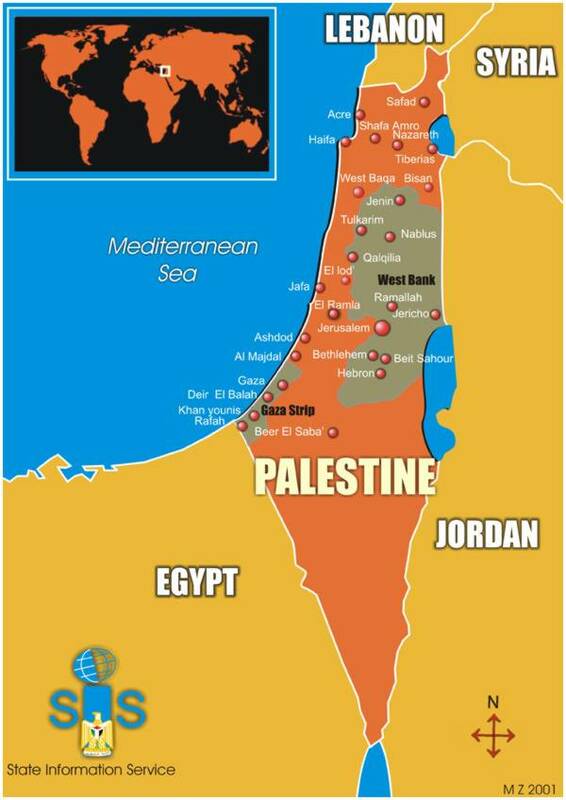 Combined, these two areas of the West Bank and Gaza Strip comprise approximately 25% of land within Israel’s borders. The Jewish population of Israel is about 6.3 million people. The Palestinian population in the West Bank and Gaza Strip (non-Israeli citizens) is roughly 3.5 million, of which 1.7 live in the West Bank. Plus there are another 1.8 million Arabs who are citizens of Israel. Technically, they are called Israeli-Arabs, not Palestinians. However, both tragically and disgustingly, many of these “lone-wolf” murderers are Israeli Arab citizens. They can travel throughout Israel virtually unimpeded. Accordingly, these Palestinian attackers often gain easy access to Jewish communities in or near the West Bank, including East Jerusalem … but even West Jerusalem and all of Israel. Thus, the saying, “there’s no place like home,” has become fatefully irrelevant and immaterial to both the murderer and the murdered. Nowhere in Israel is a Jew safe from these ghastly attacks; not in their stores or synagogues, not even in their own homes. You can rest assured that the Israeli government, the Shin Bet, and the IDF are deeply troubled about this new form of (mass) homicide against their people. You can also rest assured that they have already responded and will continue to carefully weigh all options to deal with the problem. Furthermore, many Palestinians are fully aware of the consequences of their actions. For example, one response was that of Israeli businesses dismissing (whether temporary or permanent … remains to be seen) some 27,000 Palestinian laborers in and around the West Bank area of Hebron where Dafna Meir was murdered by the 16-year old Palestinian construction worker. In addition, Israel has established more checkpoints, closed some roads, and deployed additional troops to thwart these attacks. With the ripple effect of disrupting Palestinian businesses and access of Palestinians who have permits to work at Israeli companies. Sadly, however, the Palestinians will continue to honor and glorify the absolutely needless death of their sons and daughters. They will continue to hate the Jews more than they love their own children. They will continue to celebrate the deaths of Jews at the hands of their heroic young martyrs, who are doing nothing more than what their parents and leaders train, prepare, incite, and even expect them to do … kill Jews. All Jews, no matter who they are or where they live. The softer the target and more defenseless the victim, the better. Several Eye of Prophecy articles have identified clear signs that we are in the last days leading up to the apocalyptic Day of the Lord. Twelve of those milepost indicators have been listed in the articles, Look Up, Redemption is Near, Part I & II (posted 7-11 & 7-18-15). Such as: The rebirth of Israel as a sovereign nation; the increasing strife and controversy over Temple Mount and a rebuilt Jewish Temple; alignment of the Gog/Magog nations that will attack Israel, amazing increase in natural disasters, and others. One of those signs that we don’t often think about or correlate to the last days—but one that also fits within the last generational time-frame specified by Jesus—is the moral and spiritual decline of the final generation, especially the young. We are experiencing an exponential increase in brutal crimes in this 21st century and last part of the 20th century being committed by children, some as young as eight. Of children killing other children and even their parents. Of, as we’ve seen in Israel, teenagers randomly stabbing and shooting women and children. “You should know this, Timothy, that in the last days there will be very difficult times. For people will love only themselves and their money. They will be boastful and proud, scoffing at God, disobedient to their parents, and ungrateful. They will consider nothing sacred. They will be unloving and unforgiving; they will slander others and have no self-control. They will be cruel and hate what is good. They will betray their friends, be reckless, be puffed up with pride, and love pleasure rather than God” (II Timothy 3:1-4). Little wonder when so many (parents) of this generation twist and pervert the very truth and meaning of words and actions. When they scorn the sanctity of life and the value of every human being. When they blindly follow a religion that pursues hatred and death of those who cherish peace and life. When they despise the kind of things that are produced in the lives of those who have been wonderfully redeemed and reborn by the all-sufficient Grace of God through the atoning sacrifice of his awesome Son, Messiah Jesus. God’s Justice will prevail, as will his Love: “What sorrow for those who say that evil is good and good is evil, that dark is light and light is dark, that bitter is sweet and sweet is bitter. What sorrow for those who are wise in their own eyes and think themselves so clever” (Isaiah 5:20-21). “For God loved the world so much that he gave his one and only Son, so that everyone (even terrorist murderers) who believes in him will not perish but have eternal life … There is no judgment against anyone who believes in him. But anyone who does not believe in him has already been judged for not believing in God’s one and only Son. And the judgment is based on this fact: God’s light came into the world, but people loved the darkness more than the light, for their actions were evil” (John 3:16, 18-19).